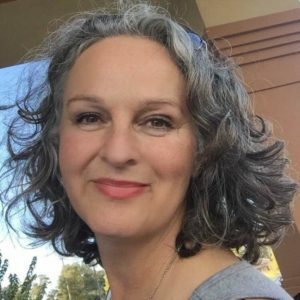 The SOYA annual retreat welcomes Brenda L. Feuerstein from Saskatchewan, May 31 – June 2, 2019 at Sorrento Centre, Sorrento BC. Register below! This annual retreat is a rare opportunity to study with Yoga Masters, refining your practice and reuniting with your SOYA family while immersed in yoga community. Join us for a weekend of traditional yogic wisdom as taught by author, yoga philosopher, and Sanskrit scholar, Brenda L. Feuerstein. Brenda is the founder and director of Traditional Yoga Studies, a Canadian company whose primary focus is promoting authentic yogic teachings. Brenda’s passion for over 35 years is finding ways to bring these sacred teachings to life in today’s world, revealing their relevance in all aspects of life in the 21st century. $295 + gst up to March 15th. A non-refundable deposit of $73.75 + gst will be processed at the time of registration to hold your spot, with payment in full required by April 30th. April 30th is the last day for any refunds. Meals & rooms/camping available. See below for details. Print our Brenda Feuerstein Retreat Poster and share with your friends. REGISTRATION OPENS JANUARY 1ST, 2019, 6am. The SOYA Retreat is held at Sorrento Centre, 1159 Passchendaele Rd, Sorrento, BC. The main hall is across the road at Sorrento Memorial Hall. Sorrento is located on the TransCanada Highway 20 minutes west of Salmon Arm and 45 minutes east of Kamloops. ROOMS, CAMPING and MEALS are reserved directly with Sorrento Centre (or alternate locations). The office will be closed until Jan 2nd so it is best to reserve online from Jan 2nd onward at this link – SORRENTO ONLINE BOOKINGS for SOYA. All reservations will require a $100 deposit with the balance paid in May. For assistance, call 250-675-2421 (Toll Free 866-694-2409) or email registrar@sorrento-centre.bc.ca. Alternative accommodations are described below. Delicious vegetarian meals made from fresh vegetables from the Sorrento Centre farm! Many dietary needs are accommodated by a loving staff! Breakfast $10, Lunches $13, Dinner $19. Meals must be booked in advance – to reserve see details above. LODGES: (all rooms have private bathrooms): Linens & towels provided. Single rooms with a single bed ($74/night). Shared rooms with a double and a single bed ($99/night for two). Suites with a king or queen bed, hide-a-bed, a stove and small fridge ($139/night for two, $19 for third person). CABANAS: What a deal! If you are looking for an economical alternative for accommodation, share a Cabana! Sorrento Centre will have a list of people wanting to share! $85/night. Great deal for these small cottages which are an alternative to camping, with 5 beds per cabin. Bring your own linens and cooking supplies. No running water – use the campground washrooms and showers. Pets allowed for $10 per night. CAMPING -Tent and RV: RV sites with full hookups ($45/night), partial hookups ($35/night), and tenting sites ($28/night). Basic campground washrooms and showers are available. There are no cooking facilities in the campgrounds so bring your own stoves, etc. Pets allowed for $5 per night. Alternative accommodations within walking distance of Sorrento Centre: There are still places to stay if Sorrento Centre is full! – One Bay Away B&B. 25 minute drive but can commute to the retreat with the owner. Such a sweet suite on the lake, you will want to stay longer! www.onebayaway.com email wendewinn1@gmail.com call 250-803-8383 to book privately for reduced rate. Flights: Various airlines including Westjet fly into Kelowna AND Kamloops. Airport Transportation: Call Sorrento Centre for information on a local airport shuttle from Kamloops. 250-675-2421 (Toll Free 866-694-2409) or email registrar@sorrento-centre.bc.ca. Driving: Sorrento is 147 km North West of Kelowna, and 80 kms East of Kamloops. See google map http://www.sorrento-centre.bc.ca/admin-location-maps.html . It is best to fill in the Registration Form from a computer rather than a phone or ipad. If you press submit and it doesn’t go through, we find it works if you start over with a new form. Be sure to check for your confirmation email once you complete the registration process. If you do not receive confirmation, please email info@soyayoga.com to be sure your form came through.